Today's post is a sponsored post..but let me assure you that the opinions expressed here are 100% mine. When I was approached by Craftsvilla to review their site, I was really excited. But when I visited their site, I was full of pride and respect. Respect for Craftsvilla who promotes and nurtures Traditional Indian art and artisans through their website. Craftsvilla.com is not just a shopping website, it is a marketplace to "Discover Unique Indian Products". The people at Craftsvilla connect with local artisans & designers directly to global customers and thereby increase their livelihood, remove middlemen, help them create/promote their brand and thereby preserve our culture, traditions and values. And it is this belief of theirs to capture the regional variations of India is what sets them apart from the rest. One look at their website, and I was animated. From Clothing, Accessories, Home decor, Handicrafts to Books. They have it all. And yes, how can I forget Sarees. Their collection of sarees is so exquisite and vast that I am completely awed. And they are so reasonably priced that I want to buy them all. So keeping up with the So-Saree tradition, I am sharing pics of few of my favorite sarees. Tell me which one you like. great post and I´m following you now! These all look so beautiful and fabulous! i am actually liking their collection, I am not so much into sarees, but with festivities around the corner,I might pick up something from them. Love your blog as well so I am your newest follower on GFC! Thanks for your comment on my blog-Life Rocks!!! d polka dot one is a great one. N why dont we see one of ure lovely pic in a gorgeous saree? m good girl.thnx for asking. Such gorgeous sarees! Love them. Will definitely check out Craftsvilla :) And love the new background of your blog! Saree is one of the best designer Indian wear ...love it..wonderful post!!! Lovely Party Wear Sarees !! wow..I love the sarees. Planning to buy one soon. Must say they have an amazing collection. Love the sarees. I juts got one for my mum from craftsvilla and i thought i was the only one to know of this website ;) Anyhow i have a new post on wedding. hope you will drop by. Wanna follow each other- gfc, google+ and bloglovin? They are gorgeous, everyone on of them is a piece of art!!! Very Pretty Saree Designs are there on your blog. Really innovative ideas that made my day. I was feeling much eager prior to reading your content for a long time and this time, I really feel lucky enough to find the best approach from your side. Lovely collection of sarees have been posted in the post. Superb saree collection. Nice design & colourful designer sarees. Great!!! Nice pics. Thanks for sharing!!!!! Nice review. I bought a saree from the website and was really happy with the purchase and their service. I'm willing to a return customer. Such a Nice blog, I like it. 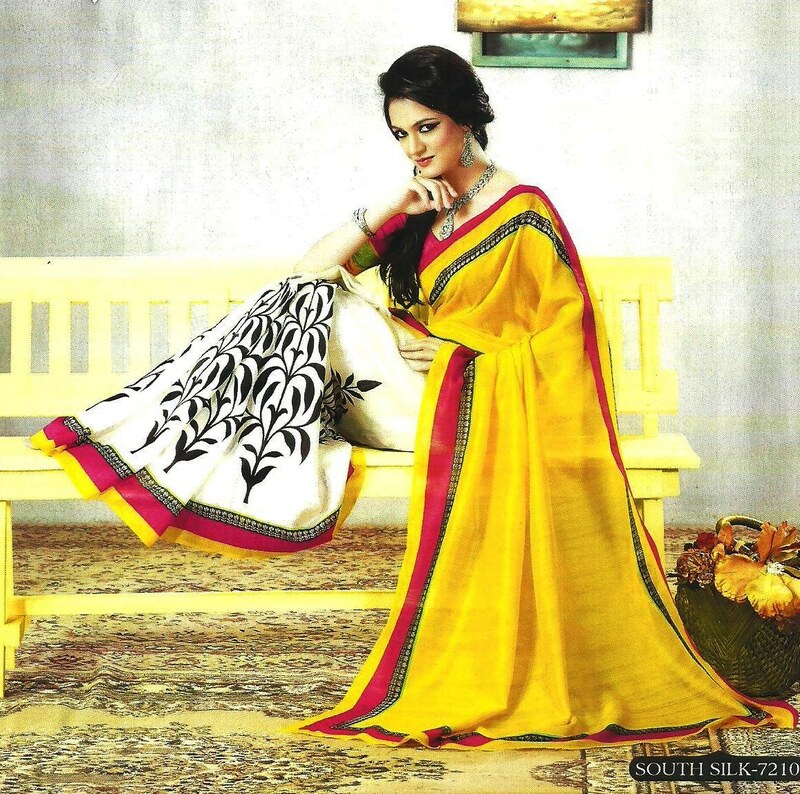 If you are looking for Latest Buy Online latest Design Womens Sarees? Aavaranaa is one the best online women shopping store. Such a nice and beautiful design and Sarees. I have read your blog and get nice information about Indian Sarees thanks for sharing this beautiful blog with us. Really nice sarees, Please share some saree catalogs also. Love them.. you have nice choice of designer sarees, I am soon gonna read your other articles. Designer sarees collection is good.. I love these printed sarees..
Hii thanks for this information and please provide me craftsvilla customer care number I want to track my order..
Salwar Suits is best traditional out fits for women.. This saree is so beautiful.. Keep doing. for good appearance. Thanks for sharing with me. The designs are outstanding..wonderful collection of sarees..
such an informative blog..i liked it.. Very classic collection of sarees and designs. Thank you for sharing such a good post.